Minority Report, the film by famous Steve Spielberg, could very soon stop being a fiction to become an unavoidable reality in Dubai streets. A company in the United Arab Emirates has developed a software that predicts crimes before they occur. The company Space Imaging Middle East (SIME) has been able to create such a computer program that allows the police of that country to precede crime before it occurs. Without the use of precognitives, (the mutants of Minority report that predicted the future) the possible misdeeds are informed to the patrols that are in charge of verifying the early warning. The software is now implemented in the Dubai Police Command and Control Centre, developed by SIME and released in 2016, it consists of an analysis of the local police database, where complex mathematical and computational algorithms generate intelligent databases and a series of potential crimes to occur in the city of Dubai aimed at reducing the number of crimes. According to the authorities of the Emirates, the system began to be programmed in 2014 and in addition to Dubai’s police database, it uses BIG DATA as well as investigations of international organizations, collected during for 20 years. As in the movie, the software is not completely reliable as it does not foresee unexpected events, but so far it is able to report infractions, generate alarms and prevent actions. The police forces of that nation continue working to achieve reliability above 90%. However, an interesting question is that if these pre-crime programs work in small areas of highly developed countries and with citizen tranquility, what would it be like in turbulent cities with high rates of crime and vandalism? Let's say Chicago, Rio de Janeiro, New York, just to mention. What kind of processor would the computer need to run the algorithms? Actually, there is still much work to be done regarding artificial intelligence. It is likely that within a few years with the development of quantum computing the most important cities in the world can count on this predictive system of criminal activity. It could happen what like in Minority Report, that sometimes not all the mathematical data are enough for predictions. From the legal field it also imposes challenges, since until now it is a violation to imprison a person without having proof of the crime. So how would it be with Crime Prediction? 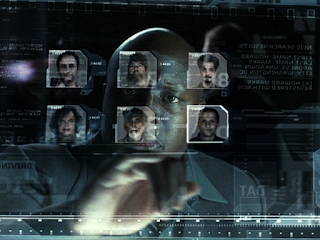 The creators of the computer program comment that the intelligent engine Crime Prediction is quite accurate with data related to when and where the crime may occur, like in the movies! But no, it is a palpable reality that the patrol teams of the various districts of Dubai use as a police resource. Above all, it allows the patrols to act in advance and to have the necessary support if the incident requires it. Other countries also have similar software. In Switzerland, for example, there is an app through which users can obtain pre-criminal reports adapted to urban areas and report potential risks. Unlike in Dubai, the Swiss application “calculates statistics, time slots or environmental characteristics”. Spain has AlertCops that allows sending to the National Police and the Civil Guard a geographically and real-time alert about a crime or risk situation of which one is a victim or witness. Contrary to the previous ones, AlertaCorps allows the ipso facto action of the police forces. Through the application, you can report school bullying, beatings, and traffic. In addition, you can send geographical position and rescue centers data. Before Crime Precognition several US police departments already used similar systems: Predpol or HunchLab. However, so far they have obtained morally controversial results. Contrary to what the creators of Crime Precognition have said, HunchLab did not produce great results, according to the police of San Luis, where it has been employed. There is no doubt that quantum computing and artificial intelligence will take the life of the human being to other dimensions, but a question remains: what will be the dimension that the human being will have within that new society that is projected? What will be the regulations to follow?